Pyllocladus glaucus Carr. 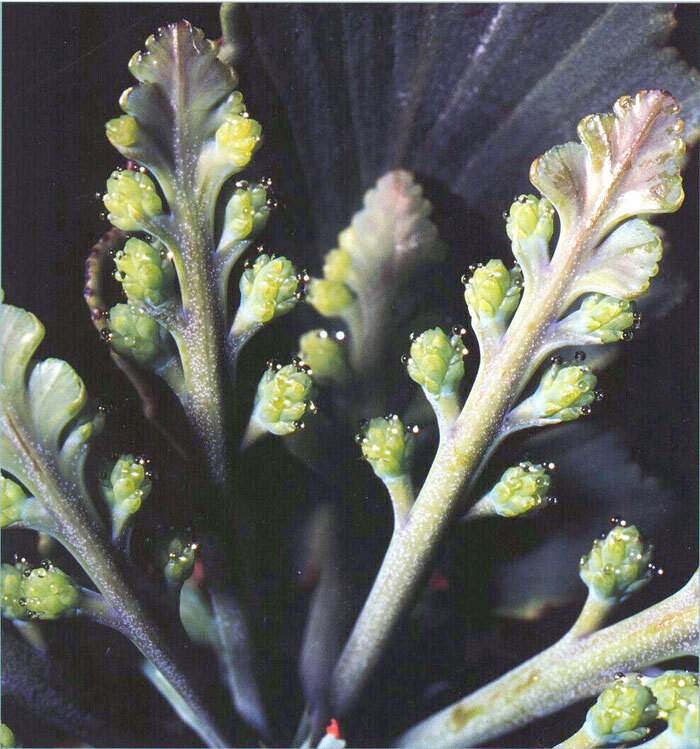 (Phyllocladaceaes), Toatoa or Blue Celery Pine, endemic to New Zealand, showing part of a pseudowhorl of fertile phylloclades. Cones are borne marginally towards the base of these modified branch complexes. The individual ovules with pollination drops are at the stage of pollen receptivity. Magnification x5, from a color transparency by J. E. Braggins.